The National Human Rights Commission (NHRC) has taken suo motu cognizance of media reports about the alleged inaction by the authorities of the Banaras Hindu University (BHU) into a complaint of eve-teasing and subsequent use of unwarranted manhandling and thrashing of agitating students, mostly women, by the Uttar Pradesh police. It has issued notices to the chief secretary, director general of police, Uttar Pradesh and the vice-chancellor, BHU calling for a detailed report in the matter. They have been asked to include the details of action taken against the miscreants and precautionary measures taken to ensure that such incidents do not recur in future. The response is expected within four weeks. 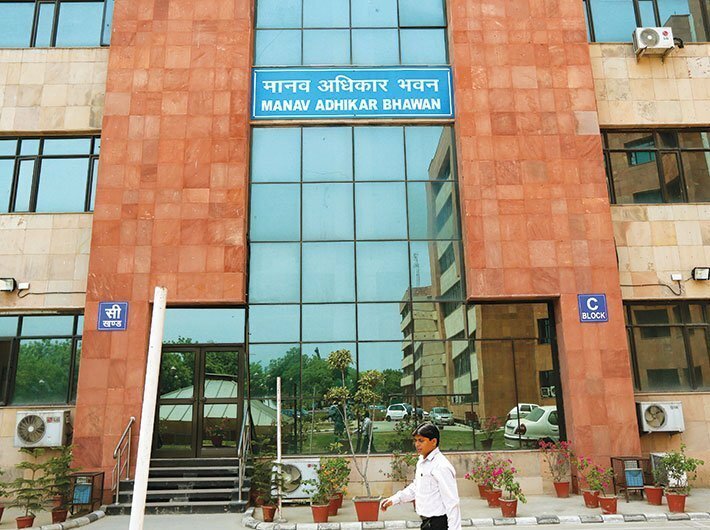 The commission observed that the contents of the media reports are indicative of lapses on the part of the university authorities, including the security guards, who instead of taking a quick action into the complaint of eve-teasing, allegedly indulged in sarcastic comments towards the victim girl. The students were protesting towards the incident of eve-teasing and inaction by the security guards and in return, they were subjected to inhuman treatment by the police personnel, which amounts to violation of human rights of the students. The university authorities should have acted sensibly as the matter related to the dignity of a woman. The police authorities resorted to rather harsh steps than the situation, perhaps, warranted, said a press release. According to the media reports, a girl student of the art faculty in the BHU was, allegedly, subjected to eve-teasing by three men on a motorcycle, inside the university campus, when she was returning to her hostel around 6.20 pm on September 21, 2017. The miscreants, reportedly, abused and fled, when she resisted their attempts. The security guards, as alleged by the girl student, were about 100 meters away from the place of incident but did nothing to stop them; and when the matter was brought to the notice of the hostel warden, she instead of taking up the issue with the superiors, asked the girl why was she returning late to the hostel. The response reportedly angered the student's colleagues who sat on a "dharna" at the main gate of the university. The students were demanding round-the-clock security, making security personnel accountable for untoward incidents targeting girls, adequate lighting on roads to girl's hostel, CCTV network and proper checking at the gates, including the recruitment of women security guards and a gender sensitization panel. The students tried to meet the vice-chancellor but they were not allowed. The students, mostly women, were allegedly, mercilessly beaten up by the police. According to the media reports, the students have complained that they have to face eve-teasers inside the campus regularly and the administration is not taking any action to stop the miscreants. The police authorities have stated that a large number of police personnel have been deployed near the campus as a security precaution. In a statement, the BHU authorities have mentioned that the "dharna" by the students just a day before the prime minister's visit, was politically motivated to malign the image of the university.